How will you spend your last days? 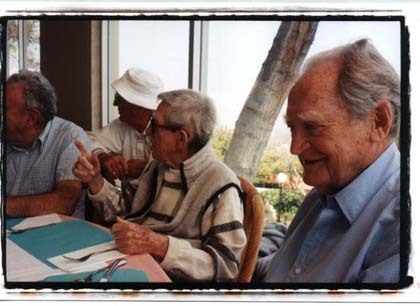 Every Tuesday, an elderly group of former TV writers and producers gets together for lunch. 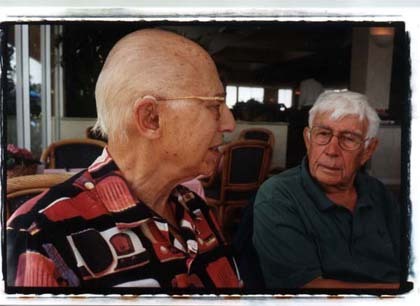 They talk, laugh, and argue about anything and everything-from the early days of TV to the state of their prostates. But when one — Academy Award winning blacklisted writer Frank Tarloff — discovers he is dying, he takes his friends on a journey they never expected. At 83, Frank has one more victory to win — and the last laugh will be his. 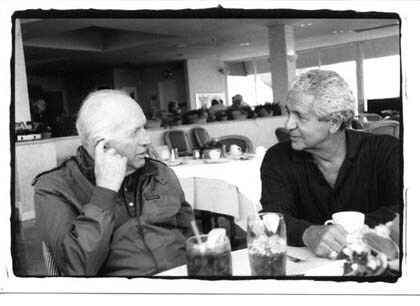 Frank Tarloff was a man for whom there were “no more victories.” At 83, he could no longer work in the industry that he and his friends had helped create, but now had no use for them — television. 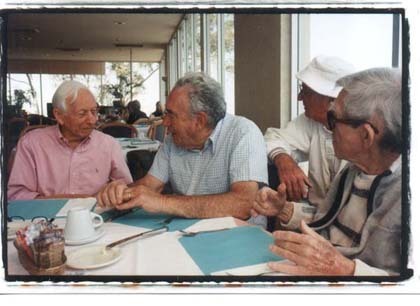 Every Tuesday, they would meet for lunch to remember the past, lament the state of TV and film today, compare their medical conditions, and just enjoy each other’s company. 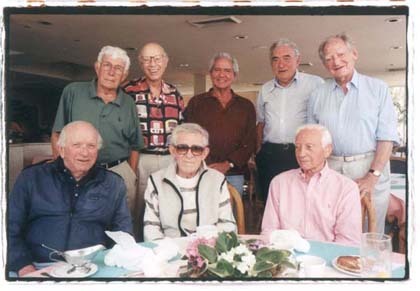 There are several of these groups in L.A. — old guys (they are almost always guys) in their 70s, 80s, 90s who were the work horses of the creation of Television. Frank’s was typical; Bernie West — a comedian, writer and producer who was a principal writer for All in the Family and created The Jeffersons and Three’s Company; Freddie Frieberger — one of the original creators of Star Trek and writer for several top dramas of the 50s; Mike Morris — who wrote over 200 scripts for comedy shows from The Flying Nun to Maude; David Shaw — writer of many classic 50s dramas; and Bernie Kahn — a veteran of the Movies of the Week of the 70s and 80s. Frank had had his share of victories. Surviving the blacklist with the help of his friends who fronted his work, he won an Oscar in 1962 for his screenplay for the film Father Goose; and then wrote what has become a classic of 60s kitsch, Guide for the Married Man. But for 20 years, that had all been a bitter-sweet memory, as he and his friends found themselves outside the industry they loved — and he was deeply depressed over it. But at 83, there was one more victory to be had — and it was one Frank had never expected in his wildest dreams. A pretty healthy guy, he suddenly found himself on death’s door when the cancer he thought was arrested came roaring back. Facing the end, an event he had in the past deeply feared, Frank literally had a death-bed epiphany. He could be his friends’ guide into the oblivion they would all be facing soon. He could overcome death by facing it head-on and helping those he loved do the same. For a brief time, Frank literally came back from the dead with this mission in mind. The depression was gone, and he thoroughly enjoyed what would be his final ride. 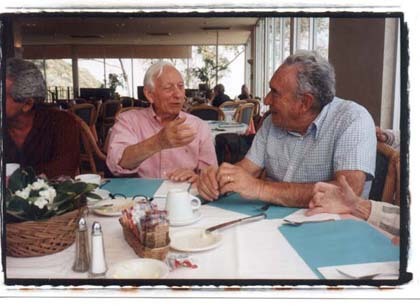 Funny Old Guys is not only his story, but the story of all of us and the new, unexpected challenges and adventures life can throw at us any time, no matter what our age. 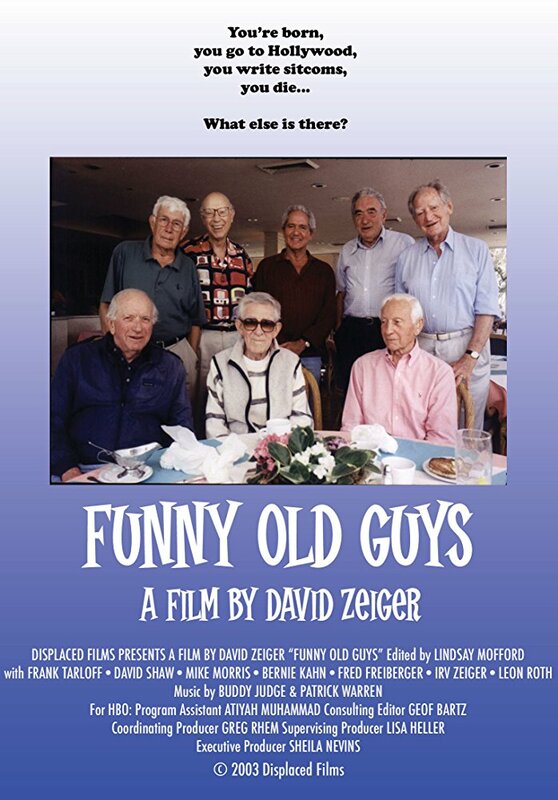 Funny Old Guys premiered on U.S. television on the HBO series Still Kicking, Still Laughing in the summer of 2003.